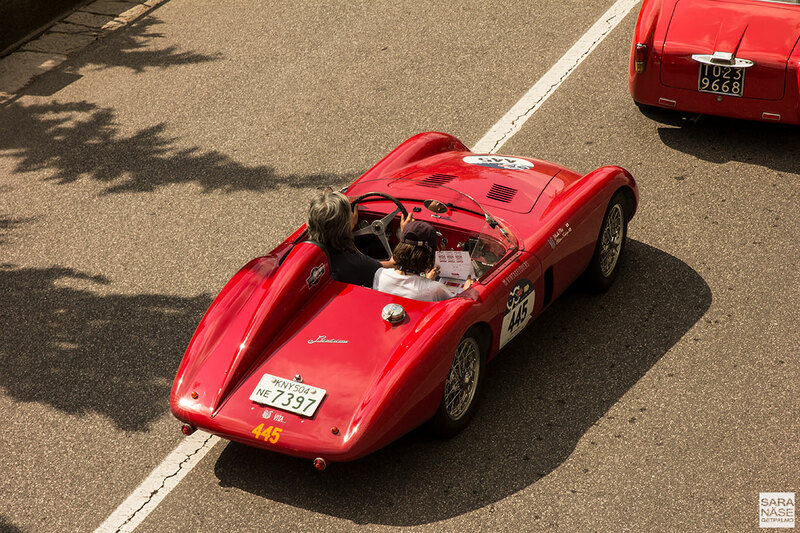 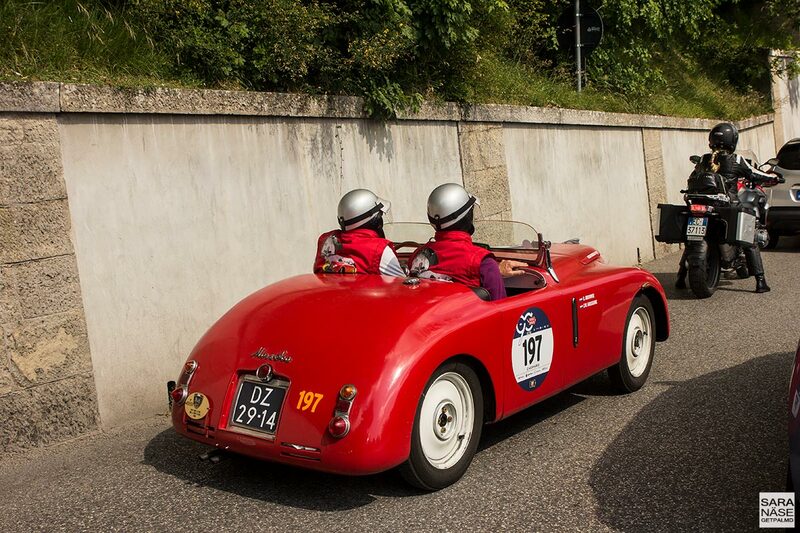 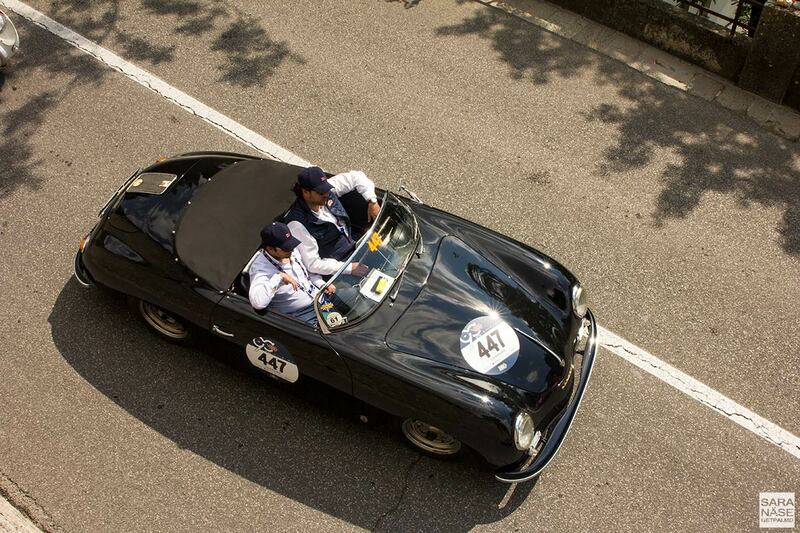 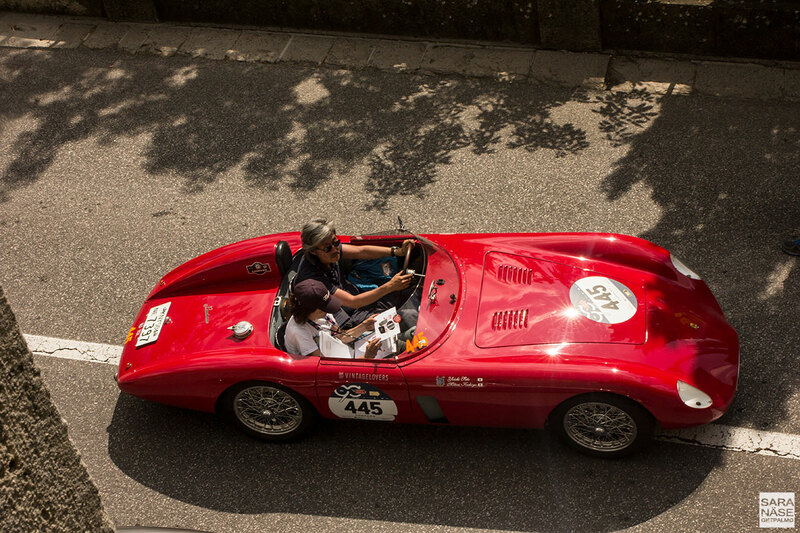 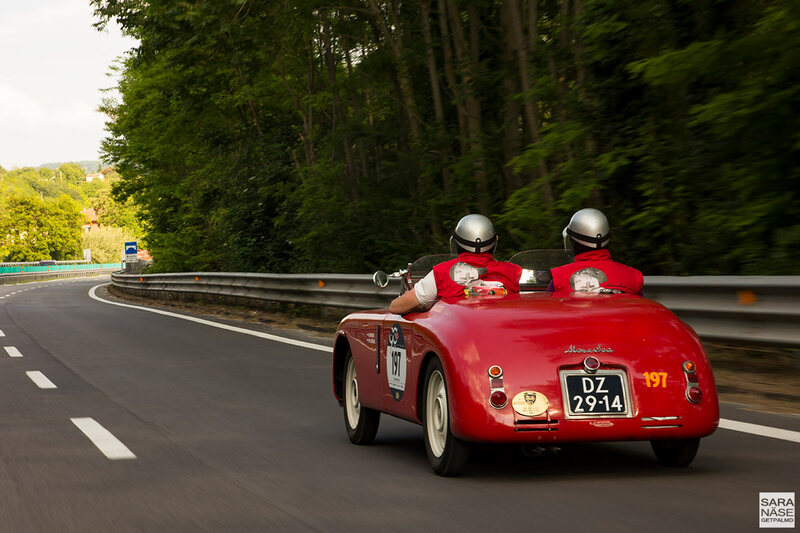 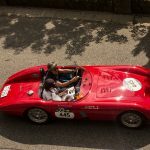 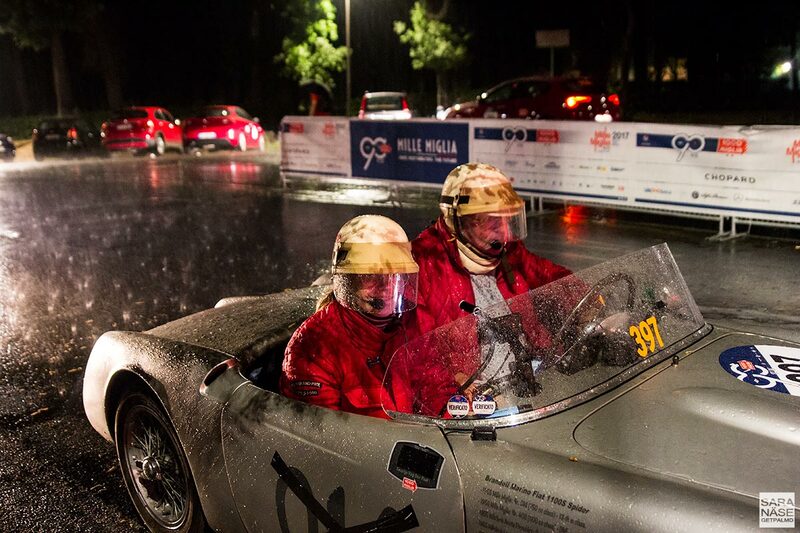 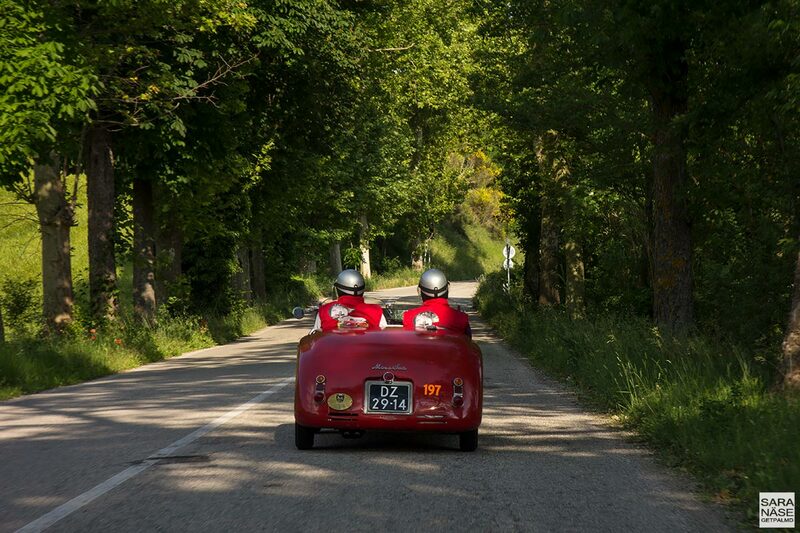 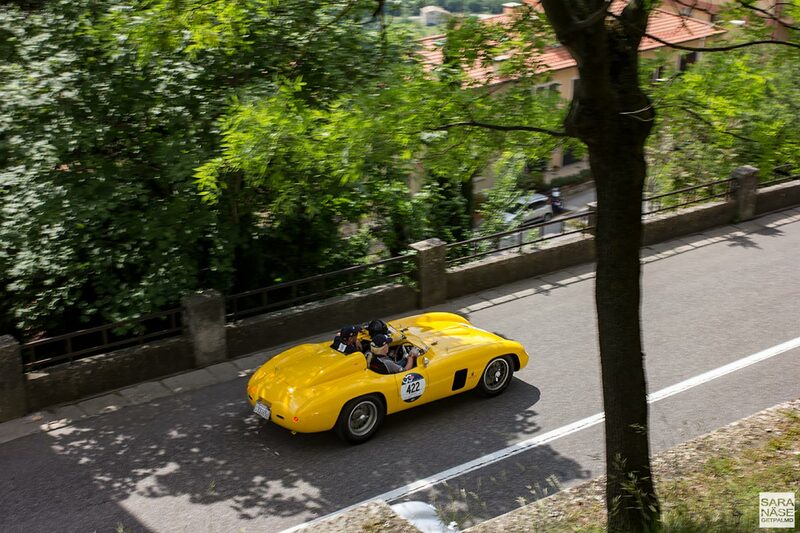 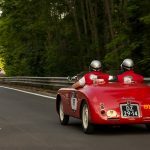 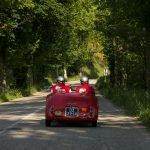 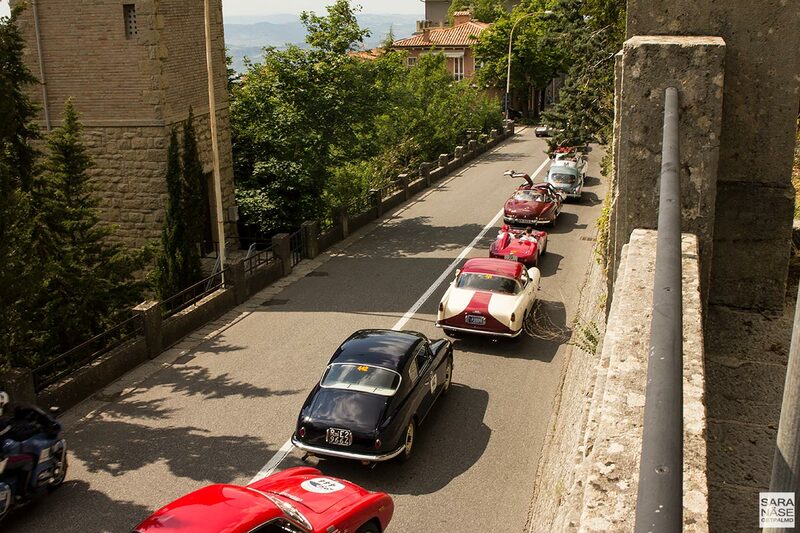 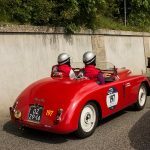 The best way to describe Mille Miglia as an experience is to say that the lack of sleep can become a complete mindfuck, and that the plans you make will most likely be changed a hundred times on the road – so relax, enjoy the ride, and take things as they come. 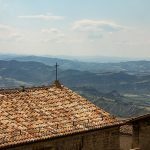 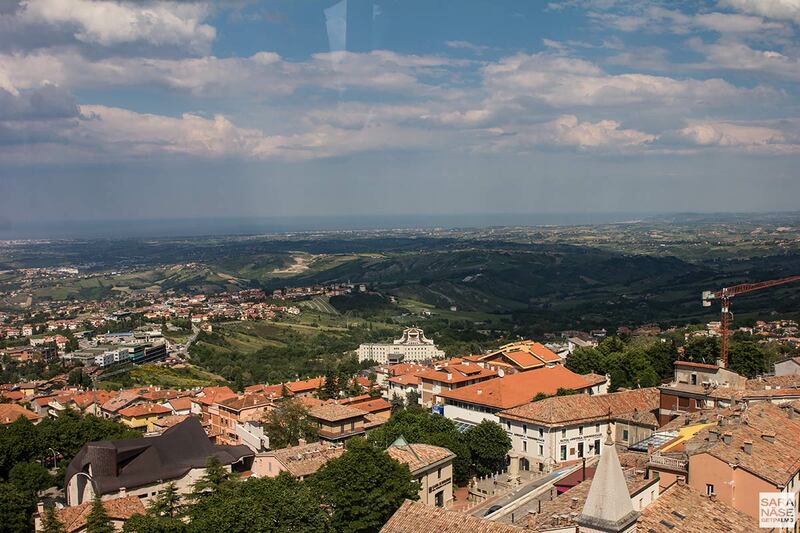 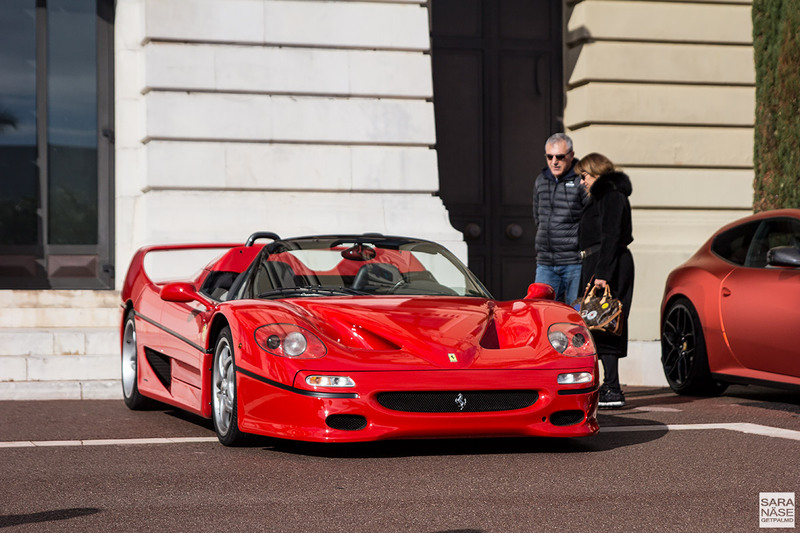 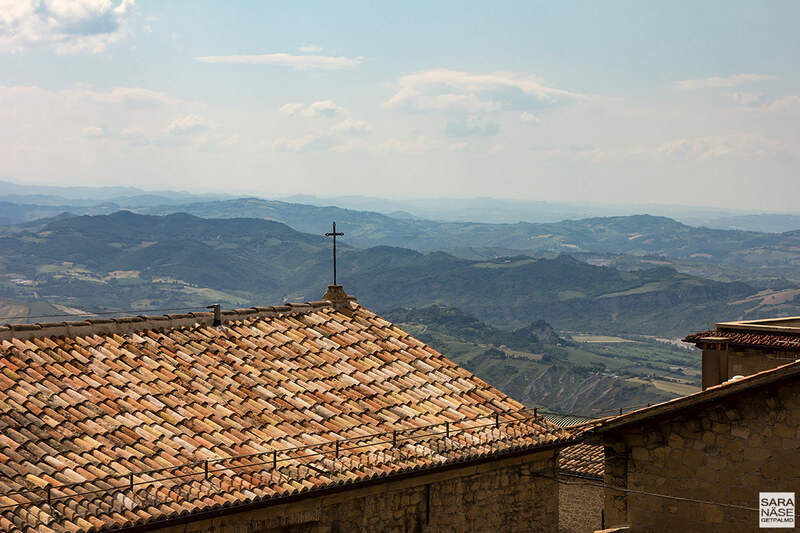 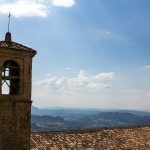 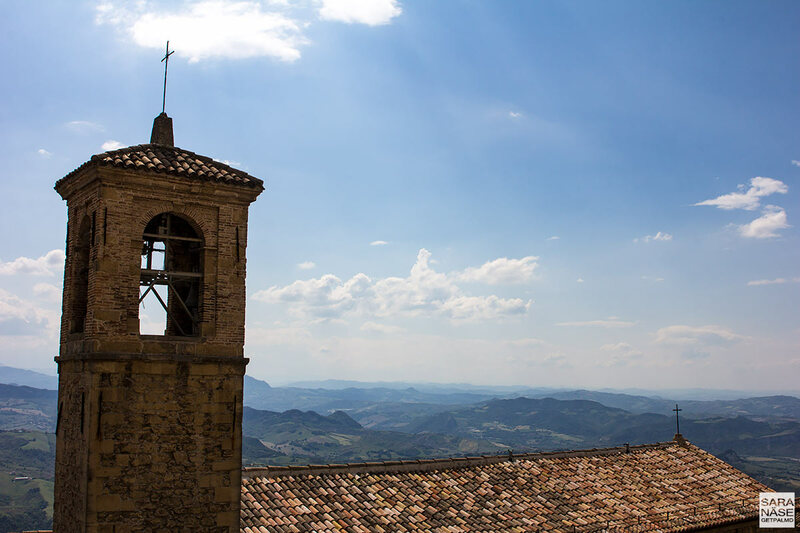 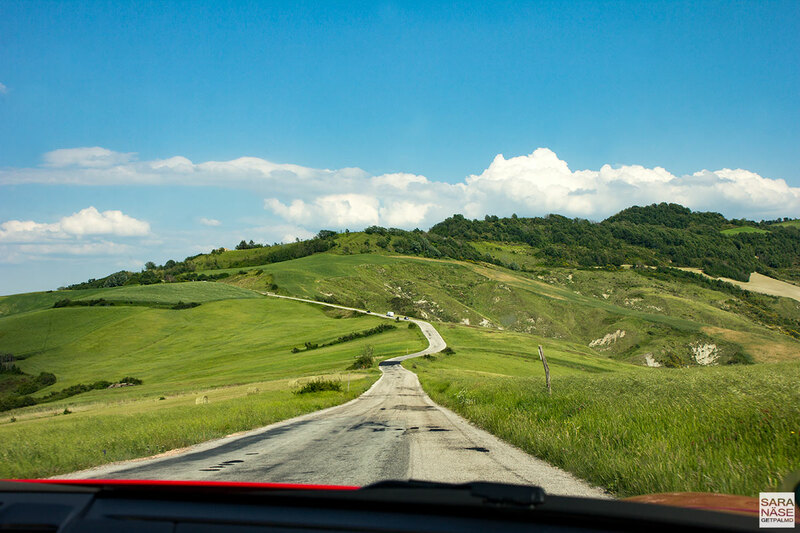 I hoped it would be a piece of cake to get up early, drive all day, barely have time for a lunch stop – and if you stop you can forget about that traditional Italian lunch we all love, where you sit and indulge for hours while the waiter keeps bringing more food to the table. 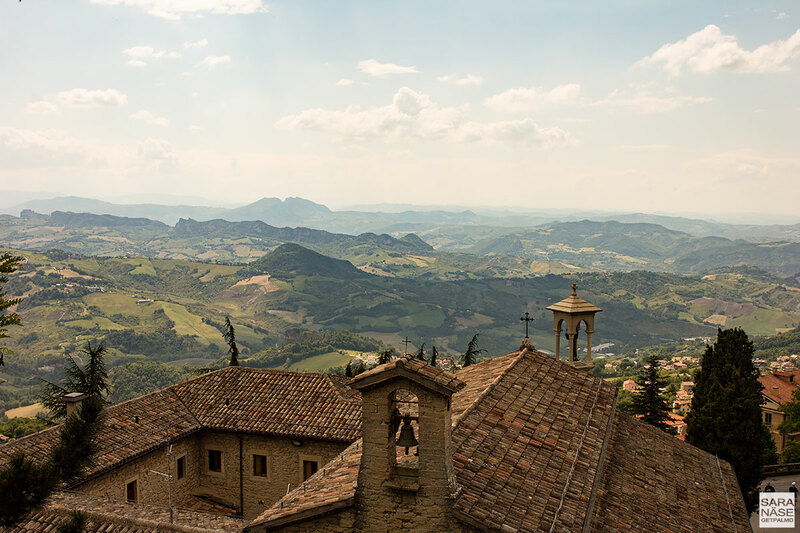 The kind of lunch I am now talking about, at best, are wrapped sandwiches – panini – from the closest bar you can find. 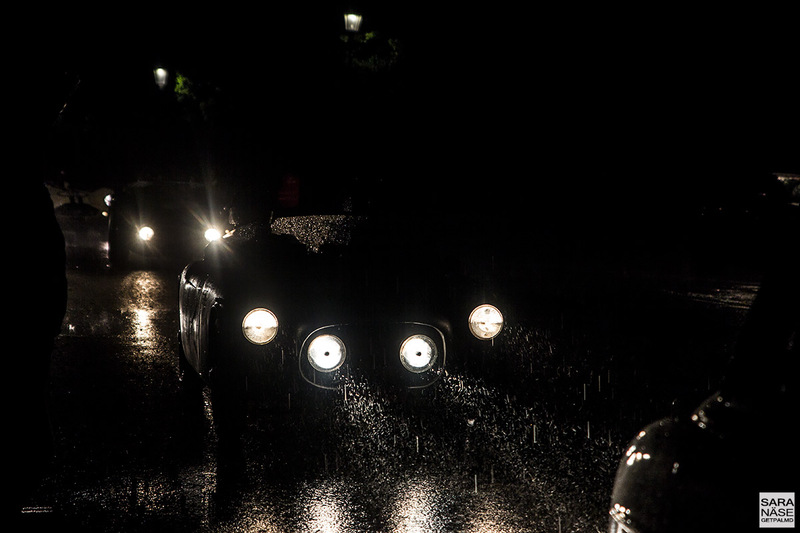 You always get to bed late, and the next day is like a repetition of the previous day, only each day it gets more difficult to get up in the morning – on time. 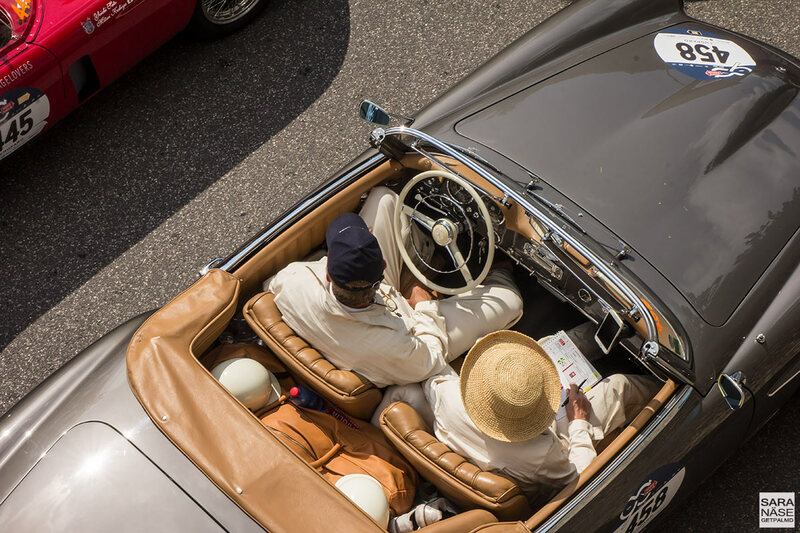 Of course the constant flow of adrenaline means that none of this really matters because your pulse is permanently racing with the competitors. 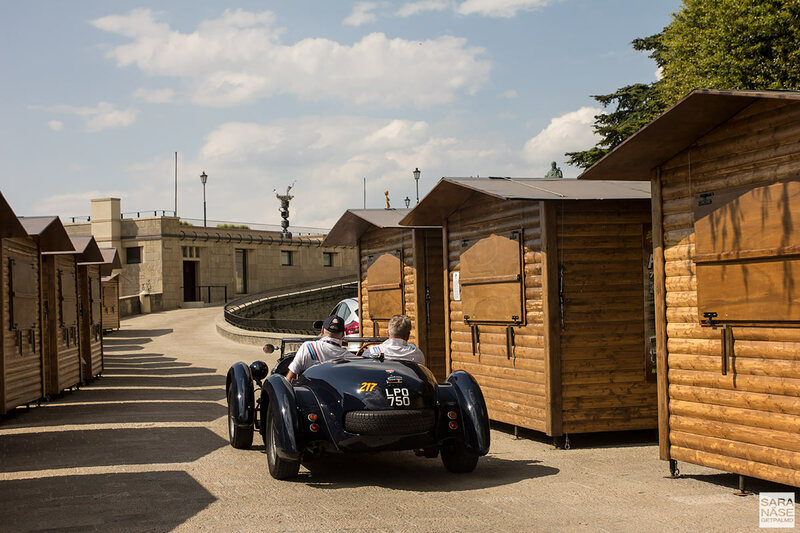 When we left Padua that Friday morning we were playing catch up with the convoy, driving into ghost towns where the only remaining evidence of a race were Mille Miglia signs by the road and dust clouds in the air, and the cars raced forward miles ahead of us. 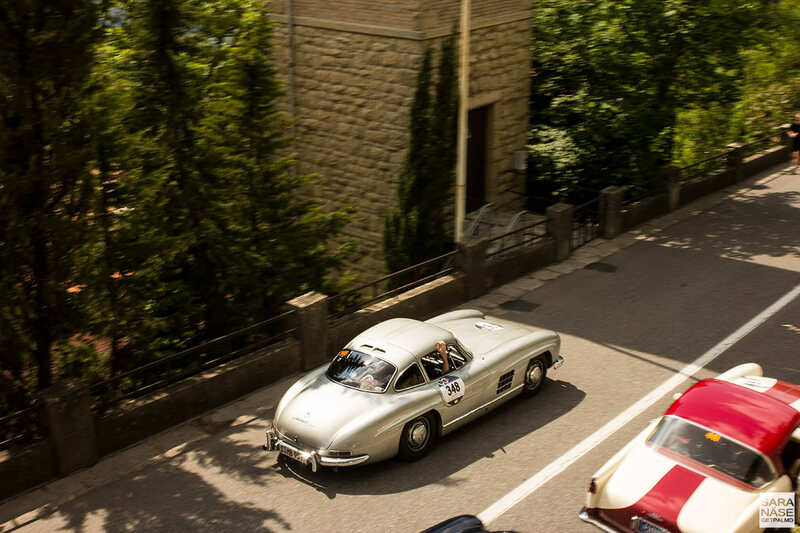 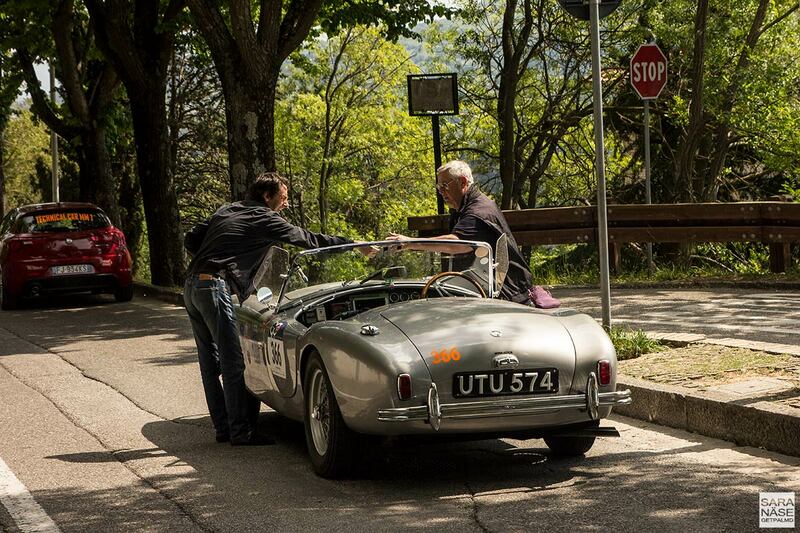 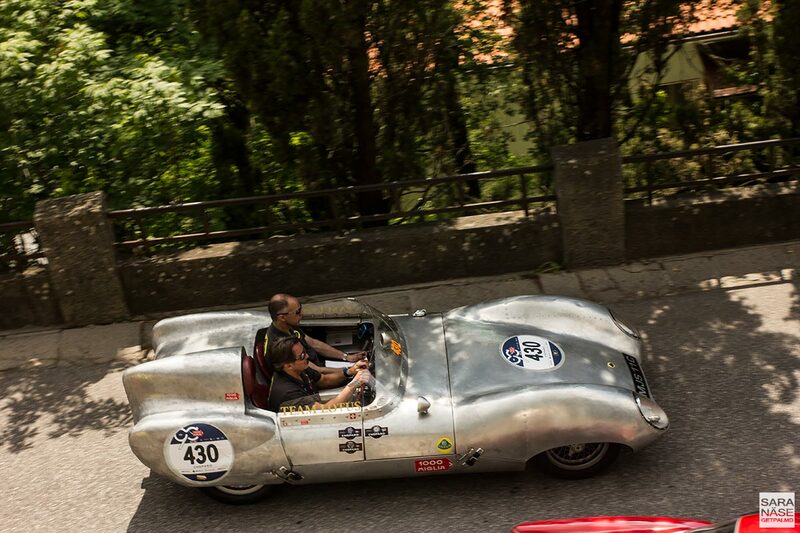 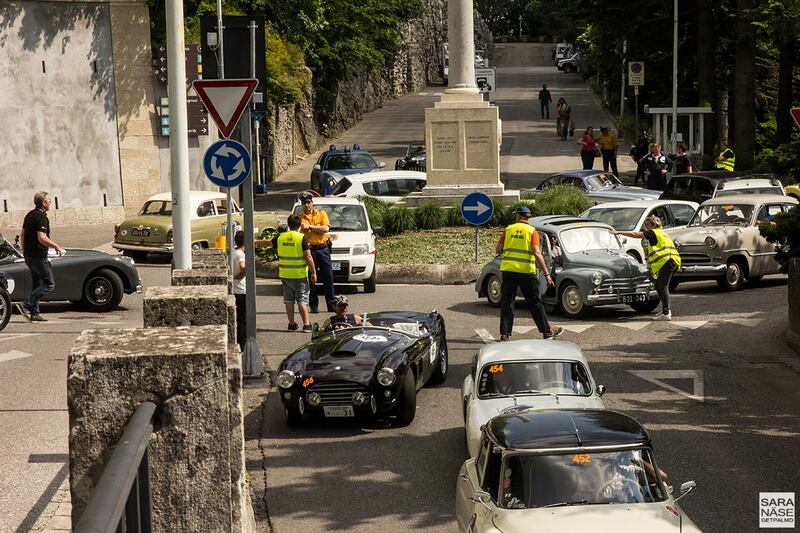 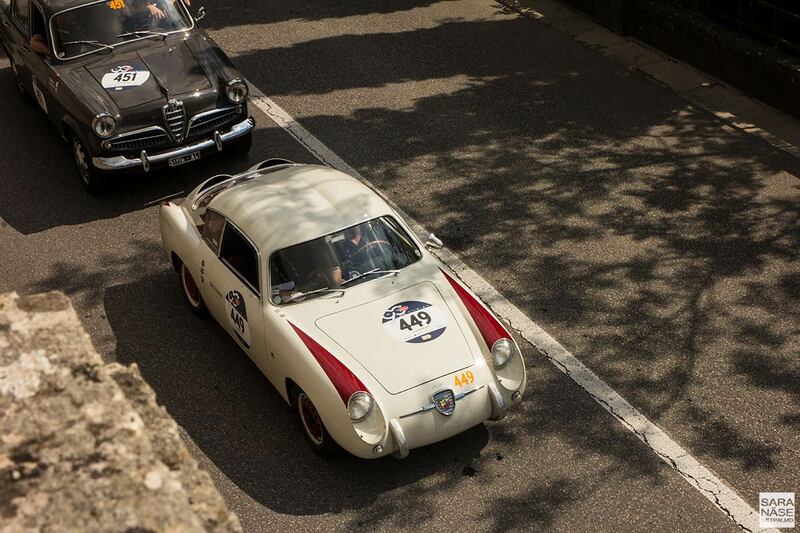 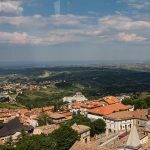 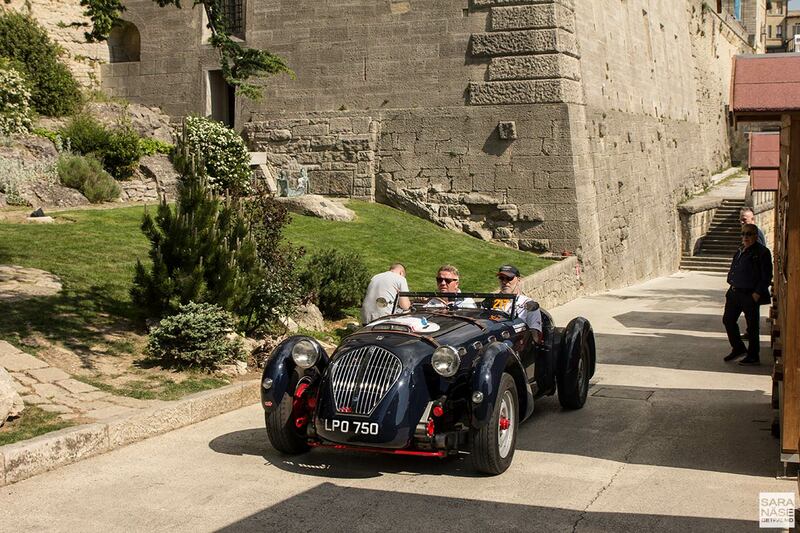 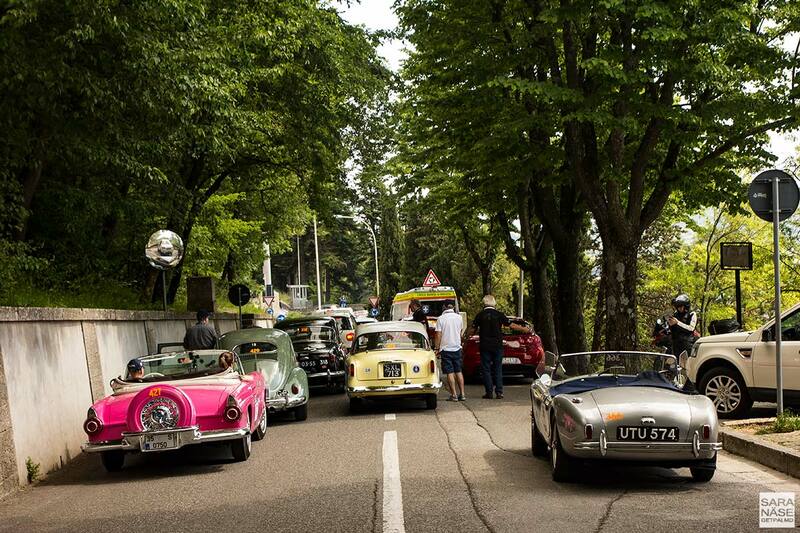 It wasn’t until we reached San Marino that we actually got a glimpse of some Mille Miglia cars. 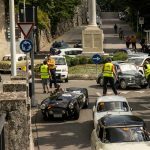 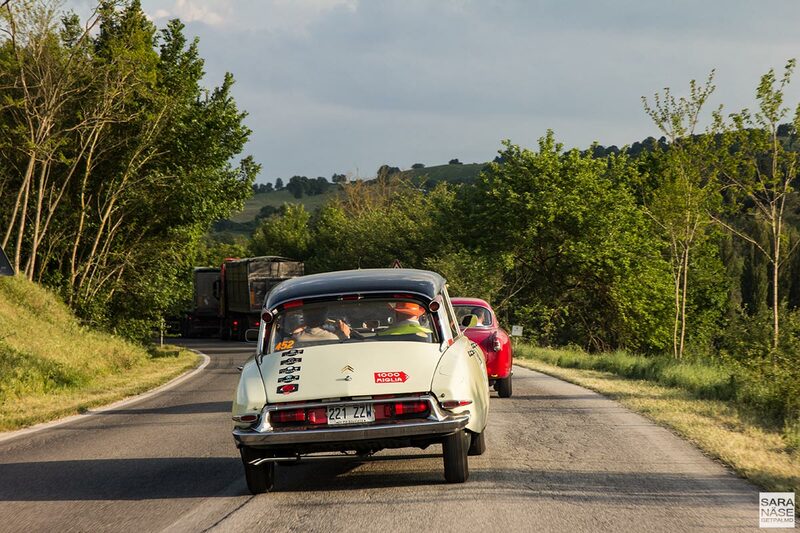 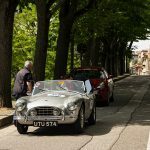 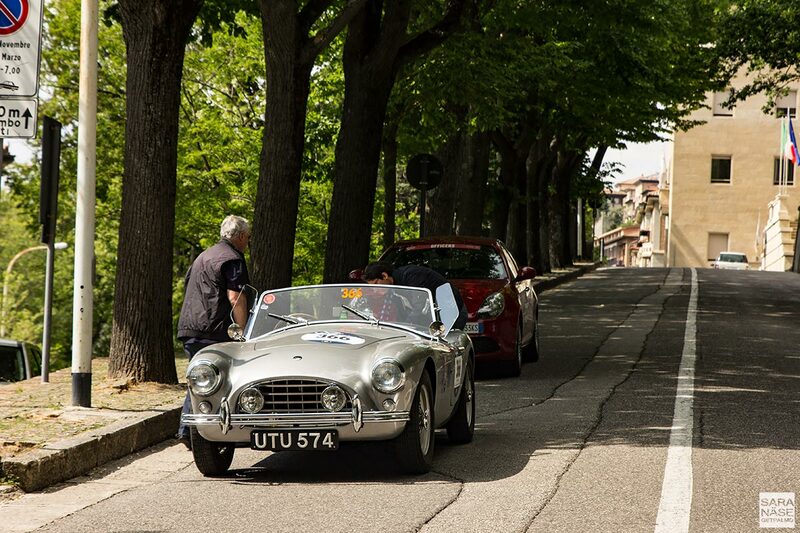 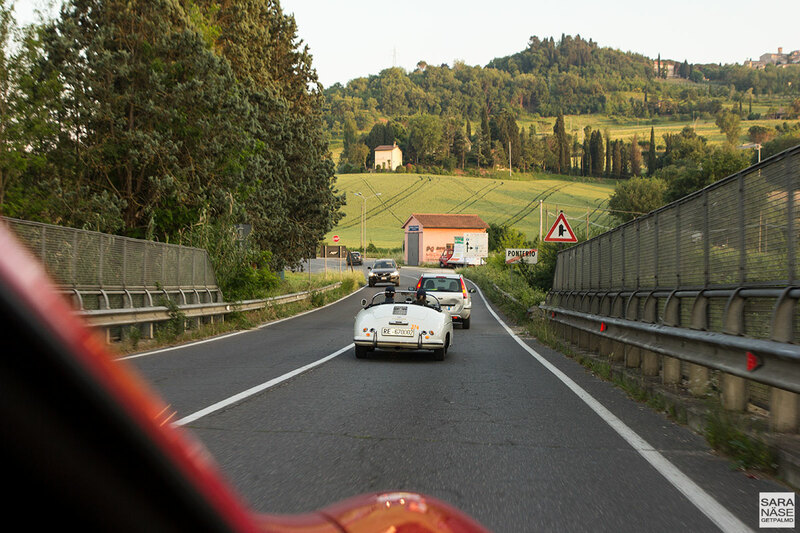 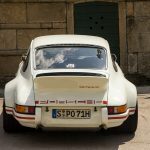 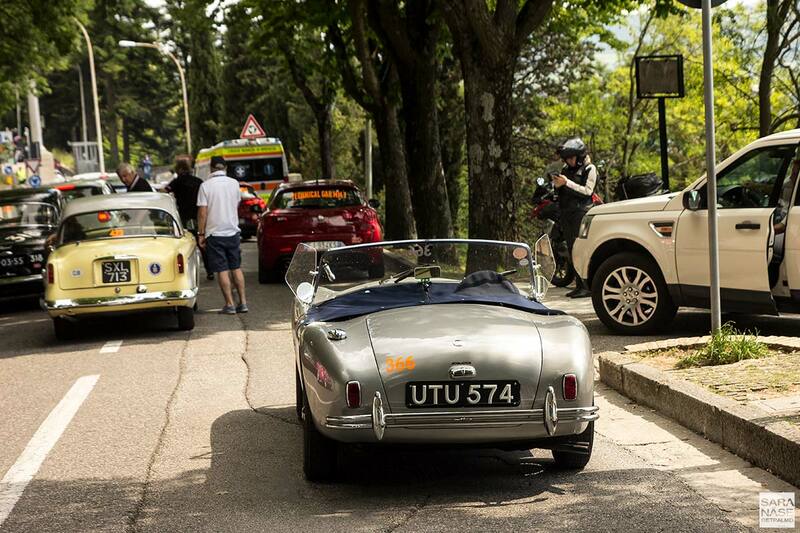 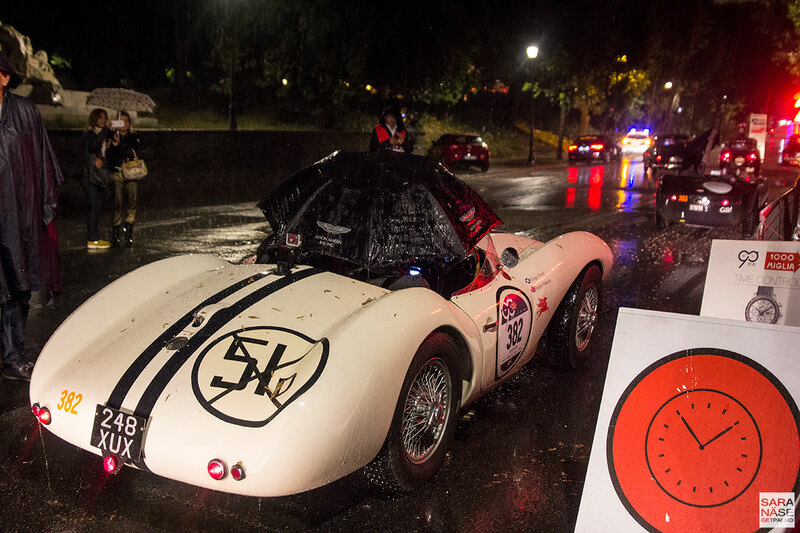 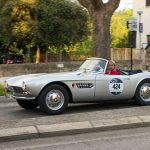 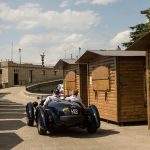 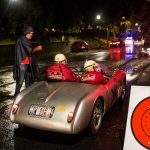 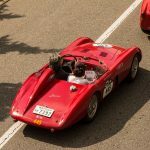 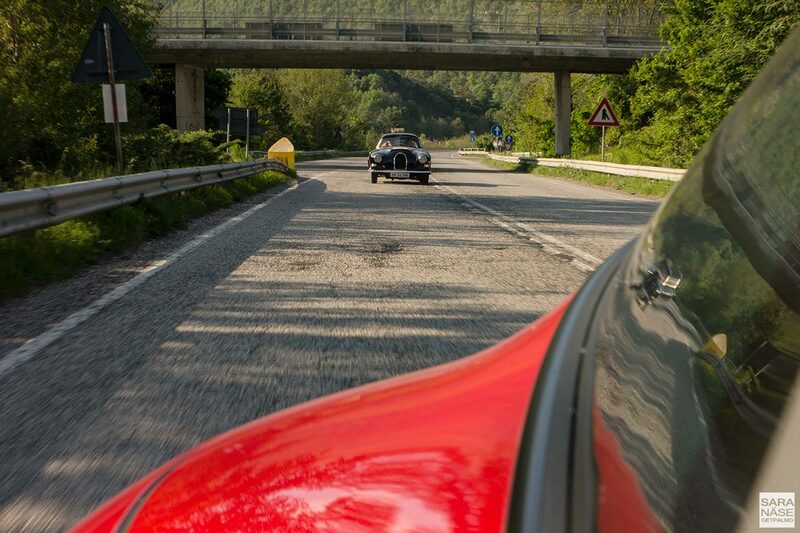 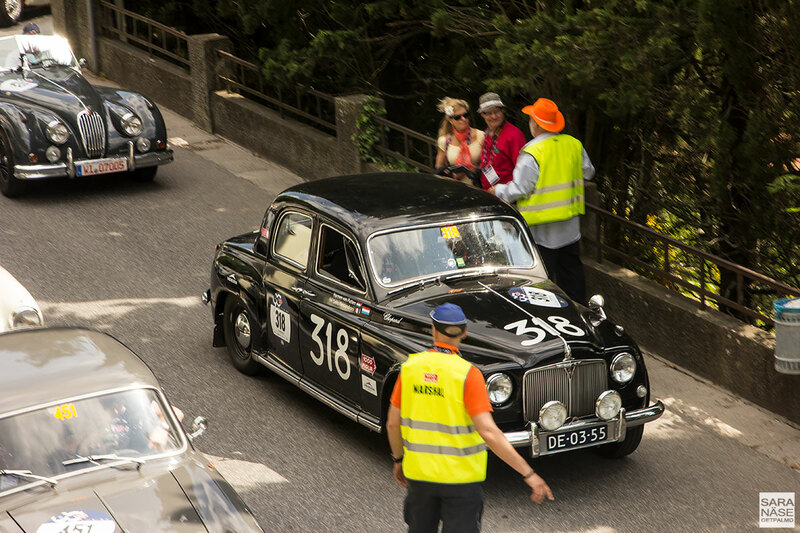 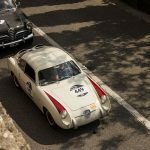 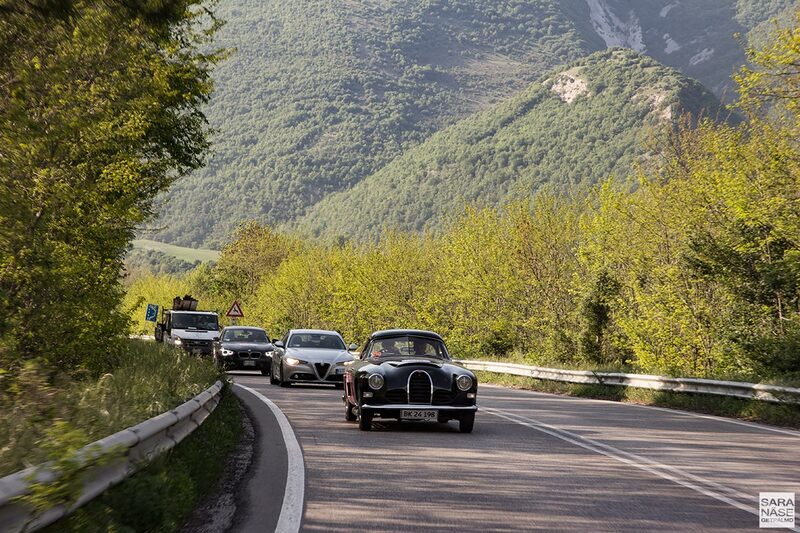 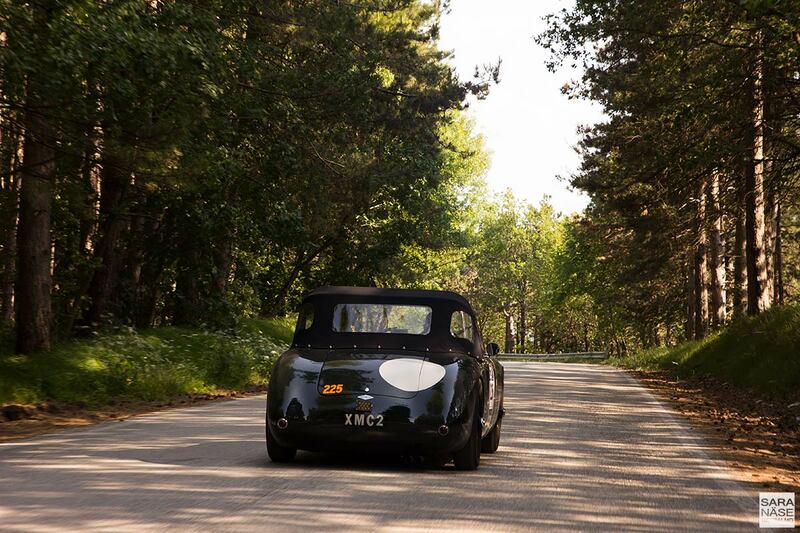 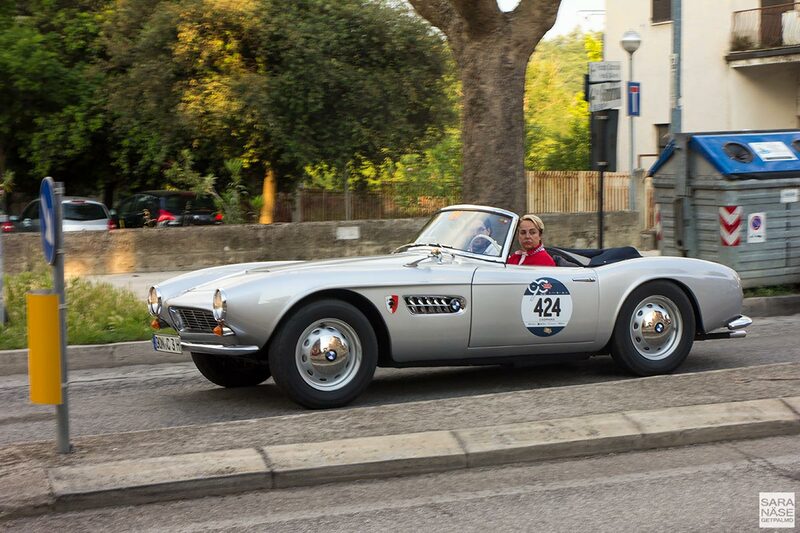 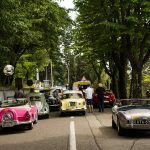 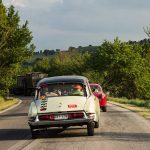 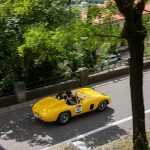 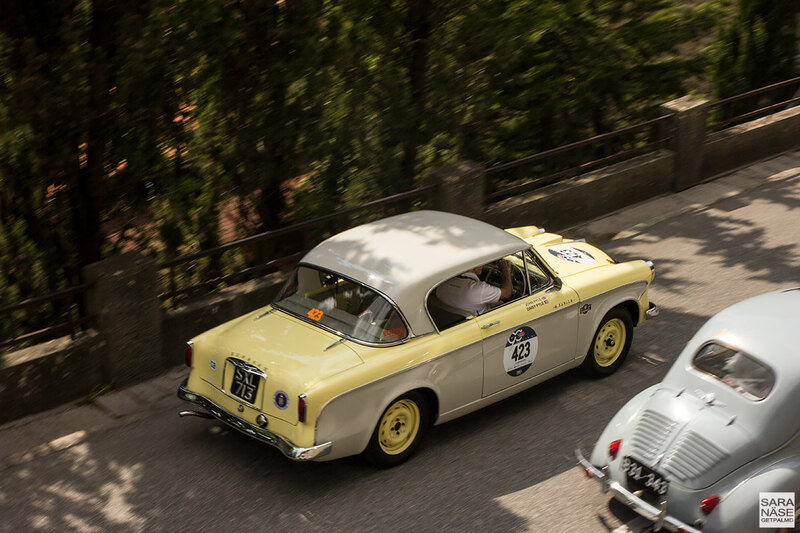 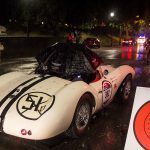 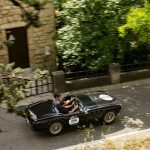 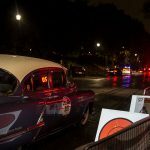 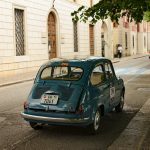 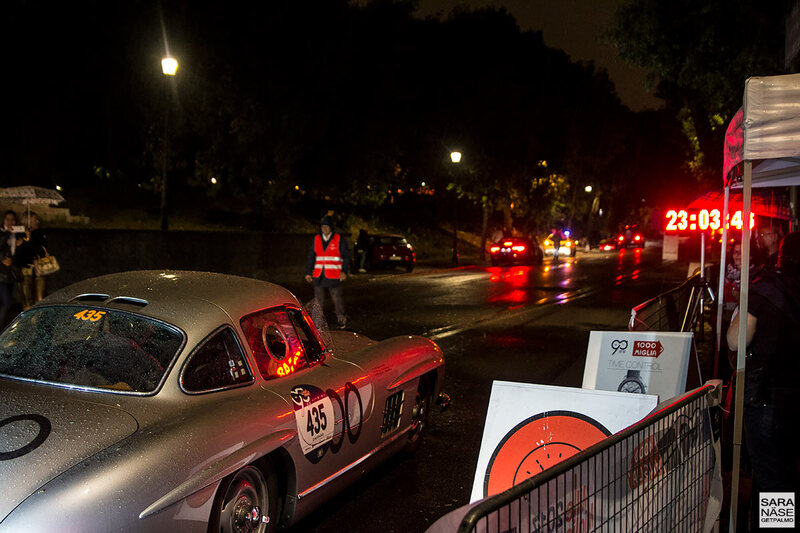 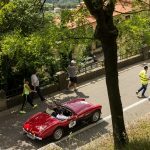 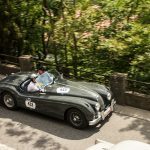 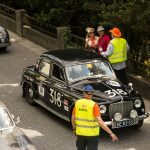 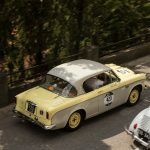 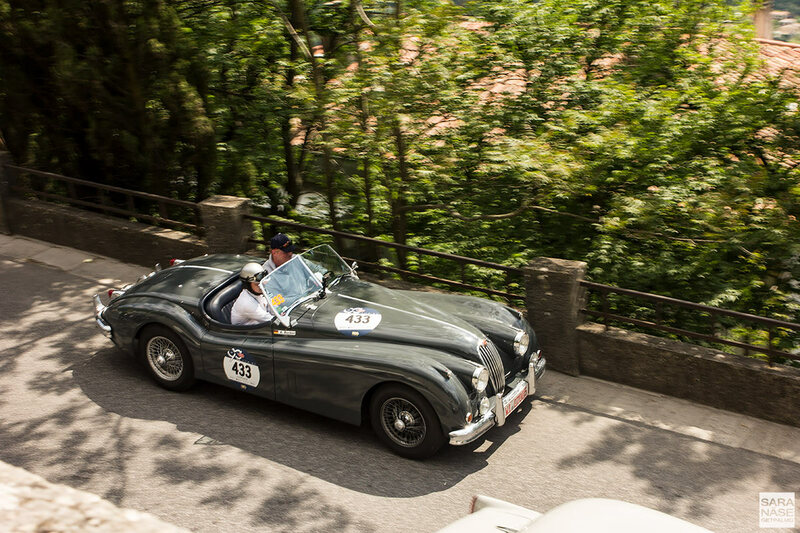 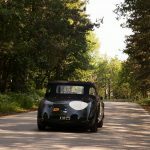 Never mind that it was the tail of the convoy – we were just happy to see Mille Miglia stickered cars – and from that moment on, we always had at least a few competitors close to us all the way into Rome as we slowly moved towards the front of the pack. 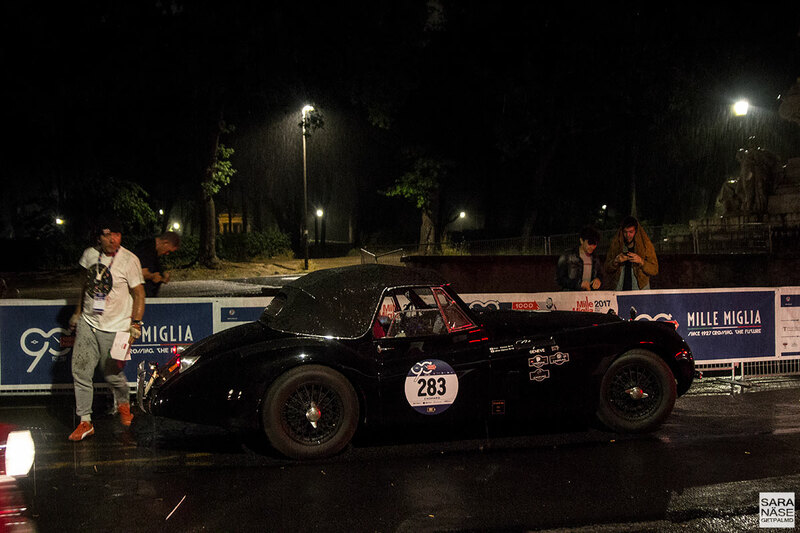 It was when we started to get closer to Rome that the rain began. 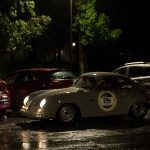 I wish it could be described as a light summer drizzle, but the truth is that it was probably the most furious rain I have ever experienced, and if it was intimidating in a modern Porsche imagine how it felt if seated in a 30’s or even 50’s irreplaceable car that is worth tens of millions. 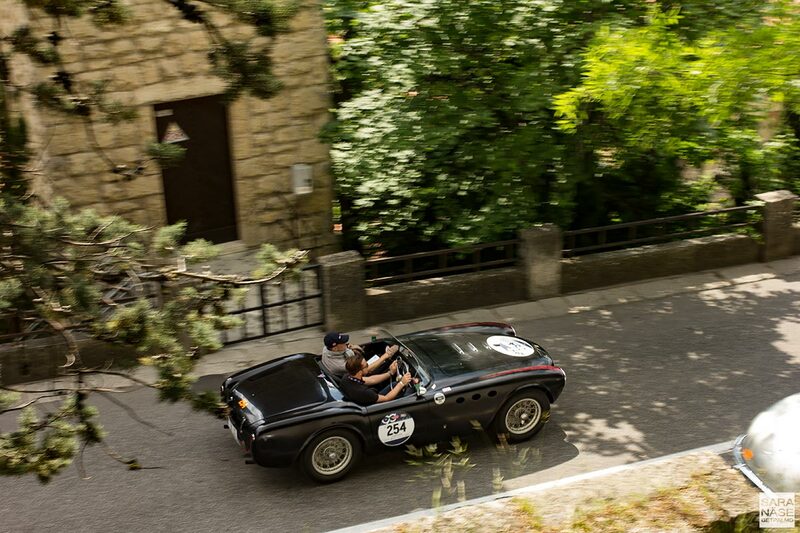 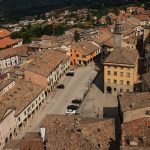 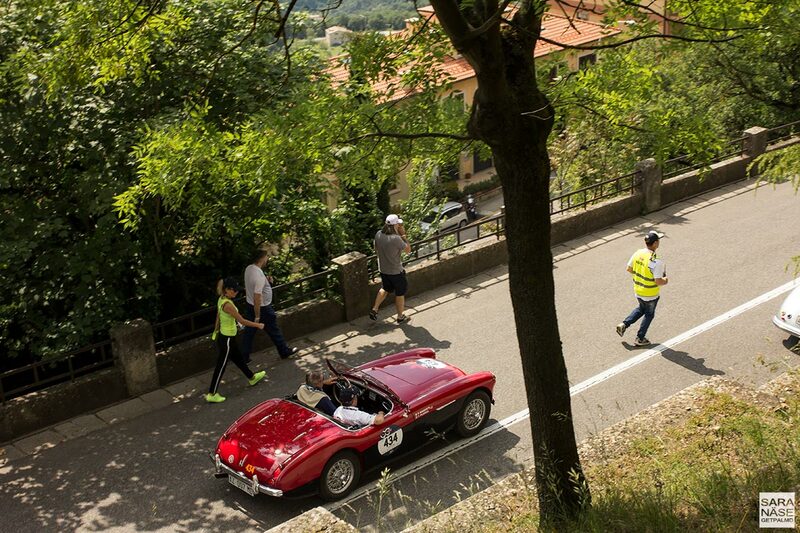 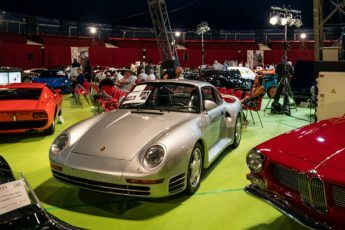 All the wonderful scenery and breathtaking cars I had seen during the day suddenly became less important – what sticks in my mind from the second day of Mille Miglia is the brave racers. 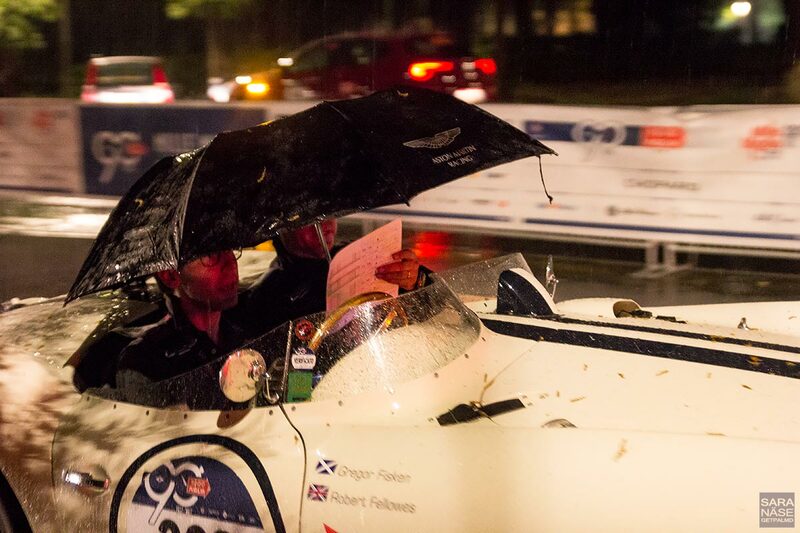 The smiles that not even the heaviest rainstorm could wipe of the drivers and co-drivers faces. 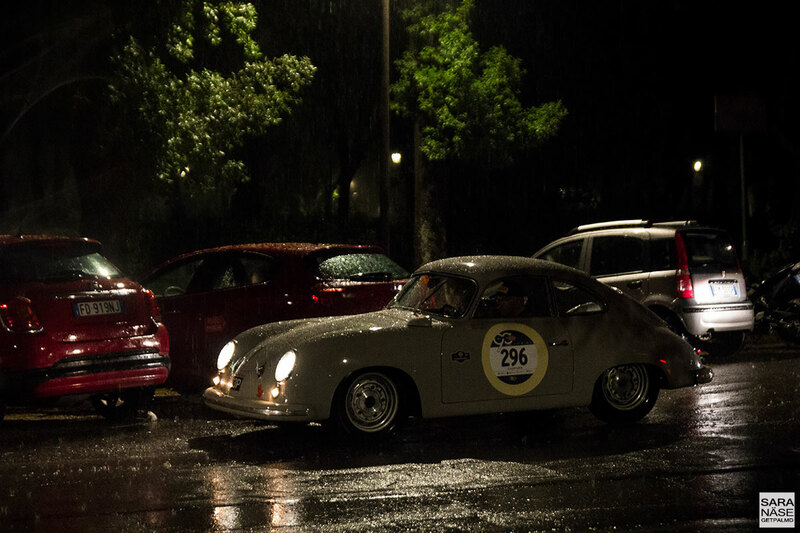 The determination. 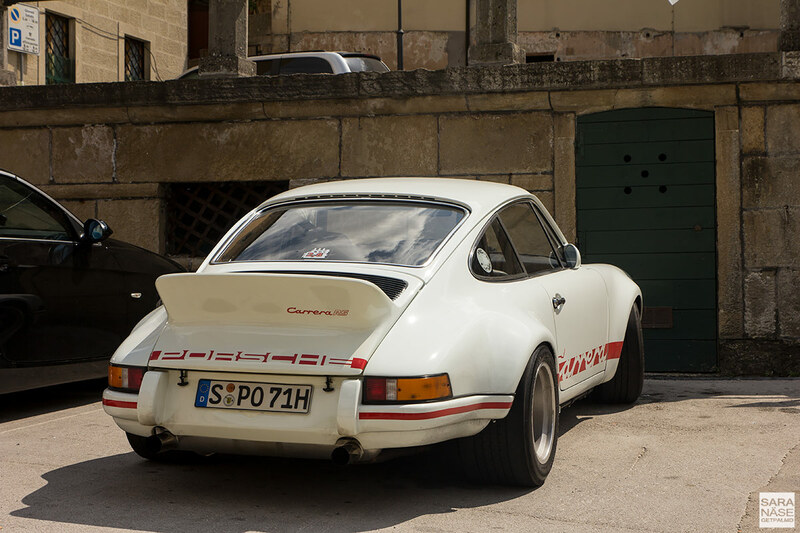 The spirit. 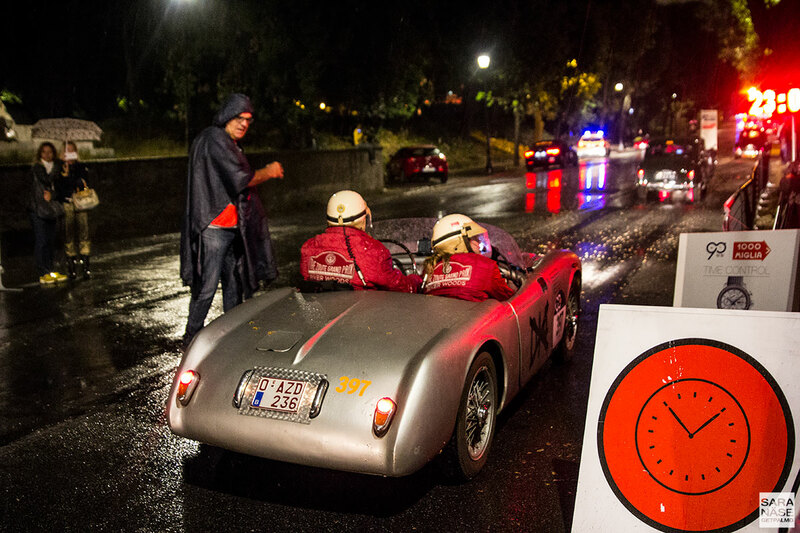 It is one thing to say that you’ve followed the Mille Miglia in a convoy on a sunny day, but it is a completely different kind of memory you have when you have driven next to some of the world’s most expensive race cars watching them almost drift through the soaked streets in Rome at night, and you witness hundreds of amazing drivers make the finish line in some of the most challenging driving conditions a classic car driver can encounter. 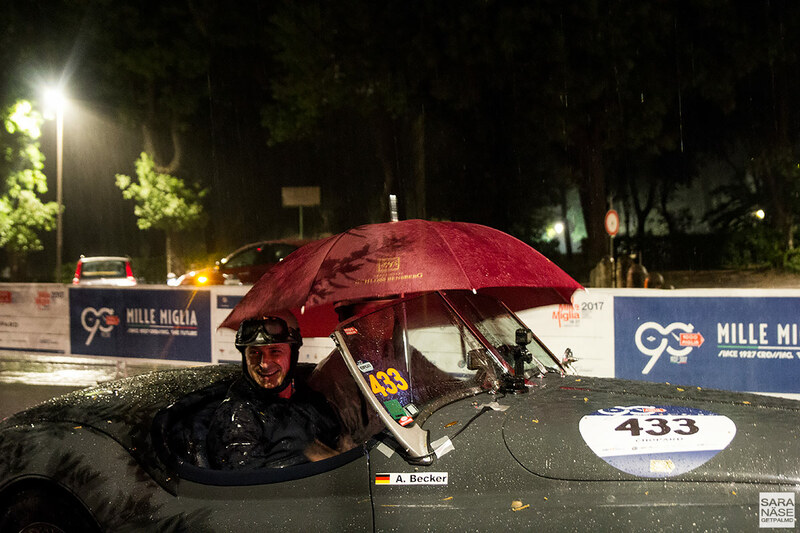 After that wet night in Rome all of them became winners in my eyes. 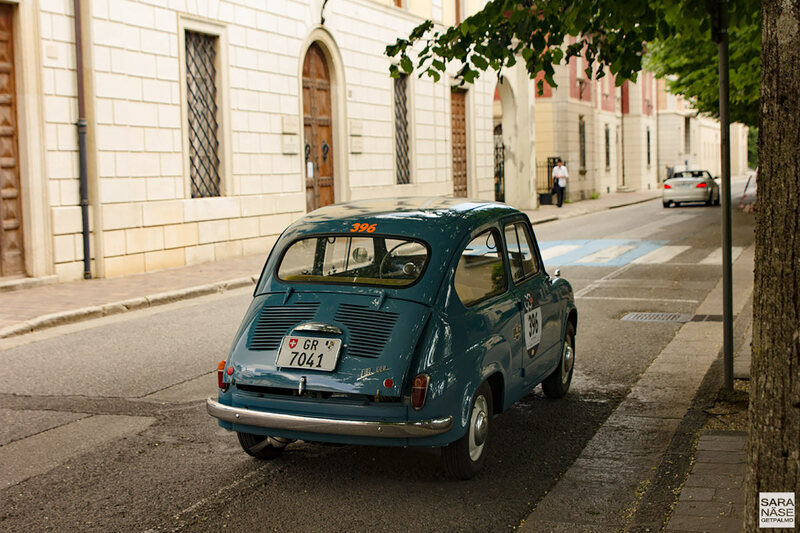 You will always be able to find hotels that have a 24/7 check-in. 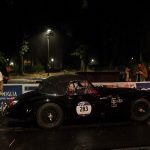 But when you are starving in Rome at 2 AM, and are on the lookout for somewhere that will serve you dinner and a nightcap, you soon realise that unless you want to join the fast food lane, it’s virtually impossible to get a decent meal at that time of night. 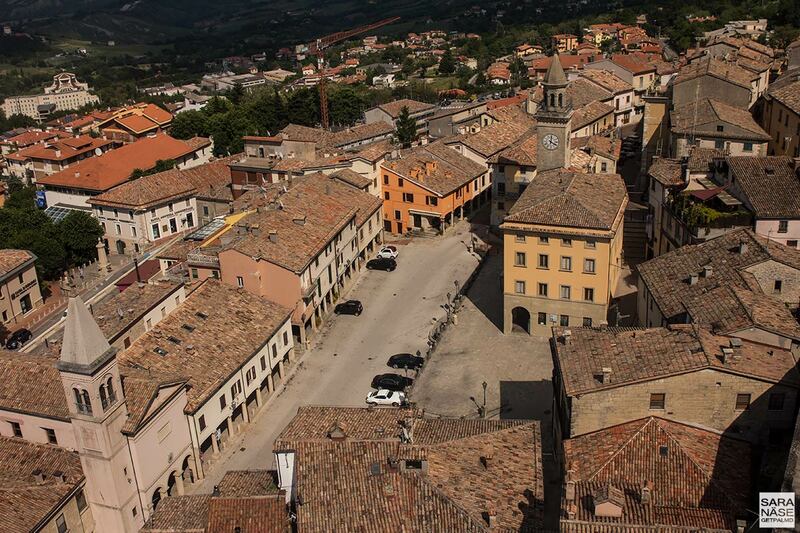 I managed to find online the address of a place 10-minutes drive from the hotel – the gastropub Break Point. 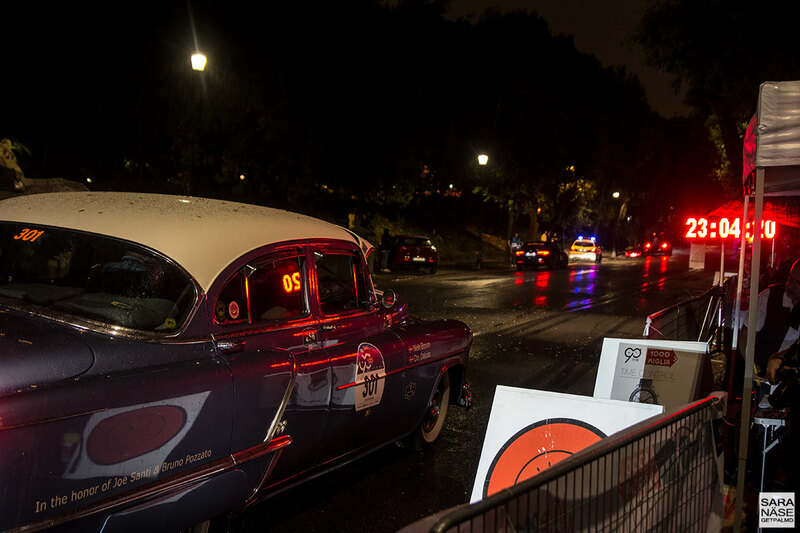 Their late opening hours gave us a glimpse of hope that we might not have to go to bed hungry. 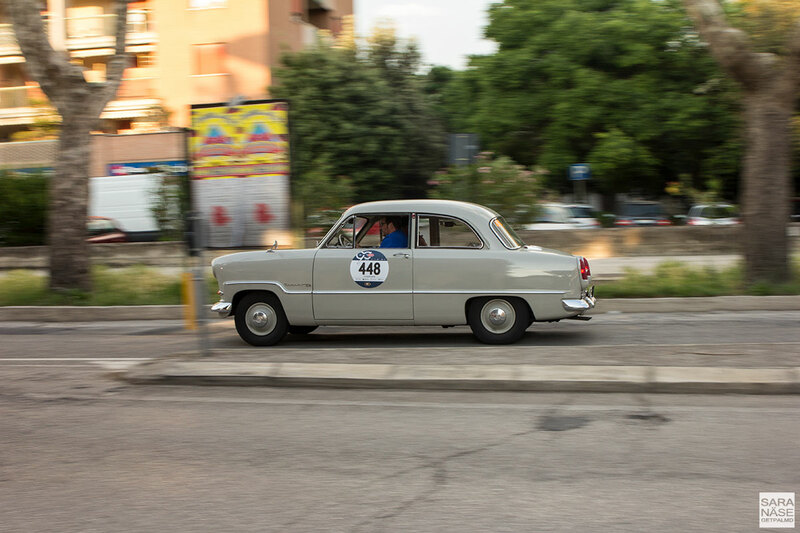 So we ordered a taxi and arrived at a small family-owned corner restaurant, that was just about to close their doors. 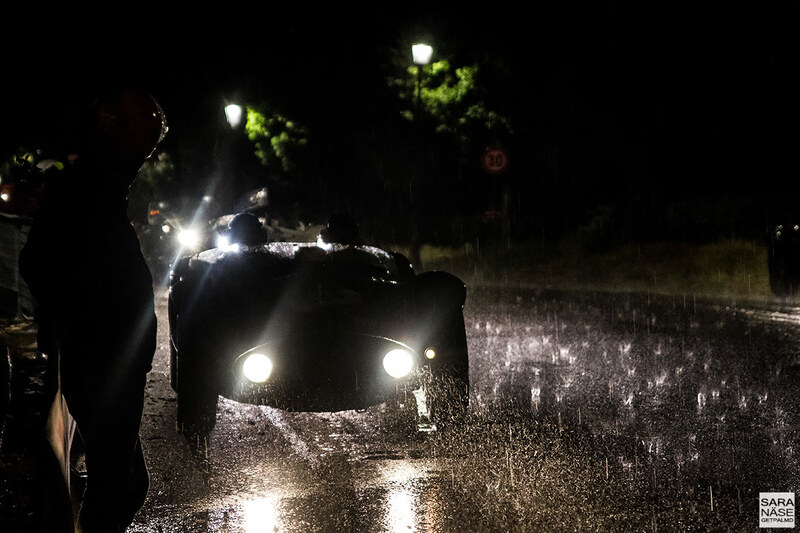 Perhaps we looked soaked and desperate enough, because with the mamma’s permission, the sons prepared us a table and cooked their only guests late night pizzas. 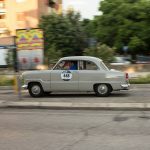 A slightly odd – but memorable – dining experience became even stranger when at mamma’s insistence papa drove us back to the hotel, accompanied by a steady stream of instructions from mamma in the passenger seat. 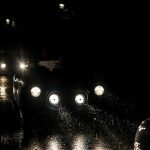 It just goes to show that you could choose to feel miserable because you end up having your dinner five hours before breakfast, or maybe choose the better option – to see the dinner hunt as one last challenge to overcome, ending up with one more great memory that will stay in your head forever.